Have you ever wanted to blow up soap in a microwave? See how many pennies fit inside a full glass of water without spilling? Create slime? At Capital Area District Libraries’ South Lansing branch, we love hands-on learning. That’s why every week from 3-5 p.m. we offer Science Tuesdays. Soap Boats: Using a piece of cardstock paper, scissors, and dish soap, we created boats that moved across the surface of a tub of water. EDIBLE Slime: Gummy Life Savers + corn starch = slime you can eat!? Yes. Expanding Soap: What happens when you put Ivory Soap into a microwave? It expands, of course! 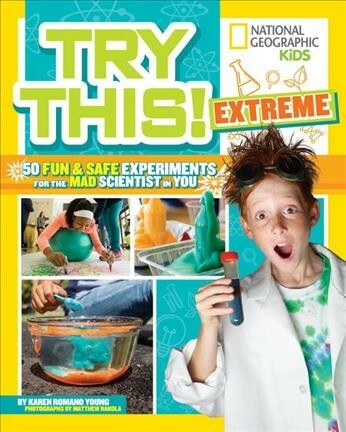 Science Tuesday experiments are free, do not require registration, and are available while supplies last. The earlier you arrive the better. If you can’t make it to Science Tuesday or you want to do more science at home, we have a great selection of books on science projects. Capital Area District Libraries’ South Lansing branch is located at 3500 S. Cedar Street. For more information, call 517-272-9840 or visit cadl.org.